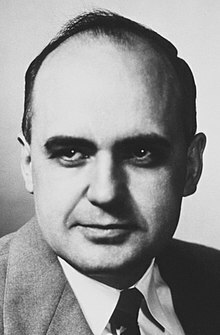 Hilleman was born on a farm near the high plains town of Miles City, Montana. His parents were Anna and Gustav Hillemann, and he was their eighth child. His twin sister died when he was born, and his mother died two days later. He was raised in the nearby household of his uncle, Robert Hilleman, and worked in his youth on the family farm. He credited much of his success to his work with chickens as a boy; since in the 1930s fertile chicken eggs had often been used to grow viruses for vaccines. Due to lack of money, he almost failed to attend college. His eldest brother interceded, and Hilleman graduated first in his class in 1941 from Montana State University with family help and scholarships. He won a fellowship to the University of Chicago and received his doctoral degree in microbiology in 1944. His doctoral thesis was on chlamydia infections, which were then thought to be caused by a virus. Hilleman showed that these infections were, in fact, caused by a species of bacterium, Chlamydia trachomatis, that grows only inside of cells. He and his group invented a vaccine for hepatitis B by treating blood serum with pepsin, urea and formaldehyde. This was licensed in 1981, but withdrawn in 1986 in the United States when it was replaced by a vaccine that was produced in yeast. This vaccine is still in use today. By 2003, 150 countries were using it and the incidence of the disease in the United States in young people had decreased by 95%. Hilleman considered his work on this vaccine to be his single greatest achievement. Robert Gallo, co-discoverer of HIV, the virus that causes AIDS, once said "If I had to name a person who has done more for the benefit of human health, with less recognition than anyone else, it would be Maurice Hilleman. Maurice should be recognized as the most successful vaccinologist in history." On 15 October 2008, Merck named its Maurice R. Hilleman Center for Vaccine Manufacturing, in Durham, North Carolina, in memory of Hilleman. A documentary film titled Hilleman: A Perilous Quest to Save the World's Children, chronicling Hilleman's life and career, was released in 2016 by Medical History Pictures, Inc. In 2016, Montana State University dedicated a series of scholarships in memory of its alumnus Hilleman, called the Hilleman Scholars Program, for incoming students who "commit to work at their education beyond ordinary expectations and help future scholars that come after them." This page is based on the Wikipedia article Maurice Hilleman; it is used under the Creative Commons Attribution-ShareAlike 3.0 Unported License (CC-BY-SA). You may redistribute it, verbatim or modified, providing that you comply with the terms of the CC-BY-SA.